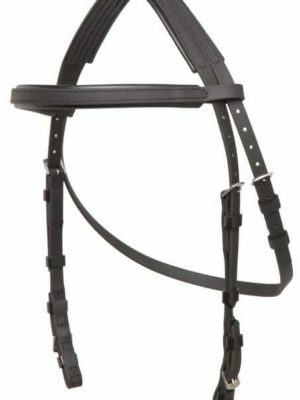 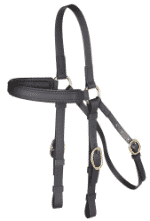 This Riding Halter has 2 rings attached to the rope that goes under the chin and attaches to the noseband. 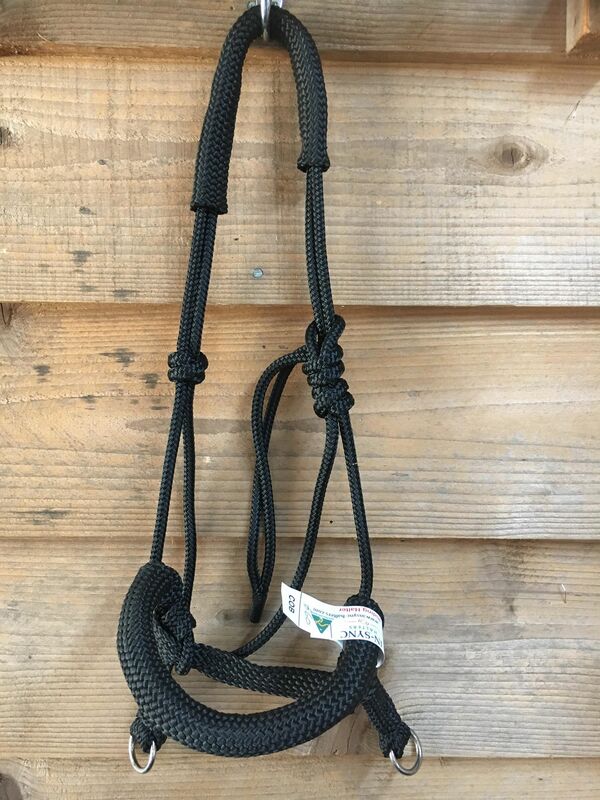 This enables you to clip on your reins and to be able to apply nose pressure when needed. 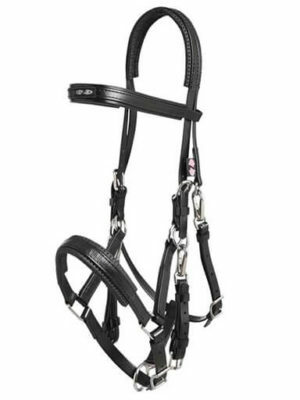 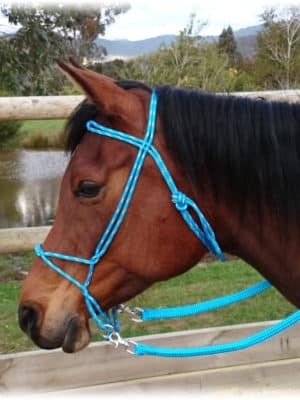 This Riding Halter is most suitable for horses that can be ridden in a halter, as this style gives you a little more control.